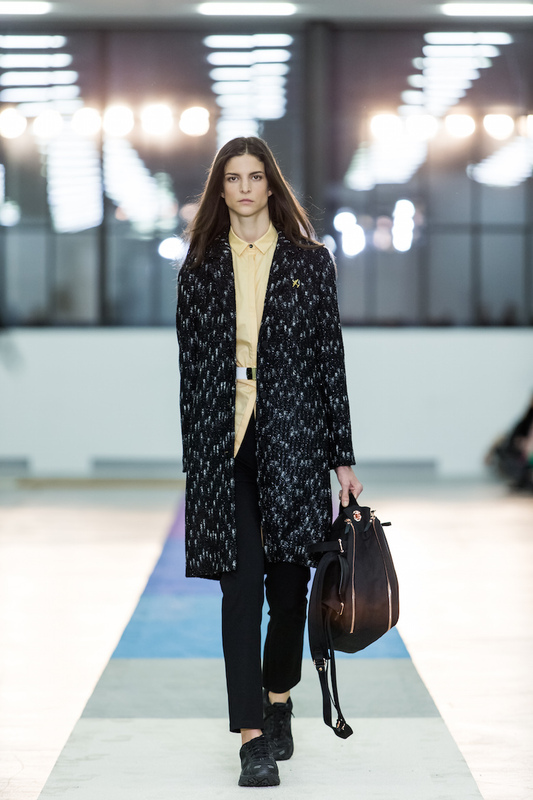 Home to neutral diplomacy, secretive financial institutions and public transport as reliable as it’s native clockwork, the internationally recognised motifs of the alpine confederation do not readily lend themselves to a dynamic fashion scene. 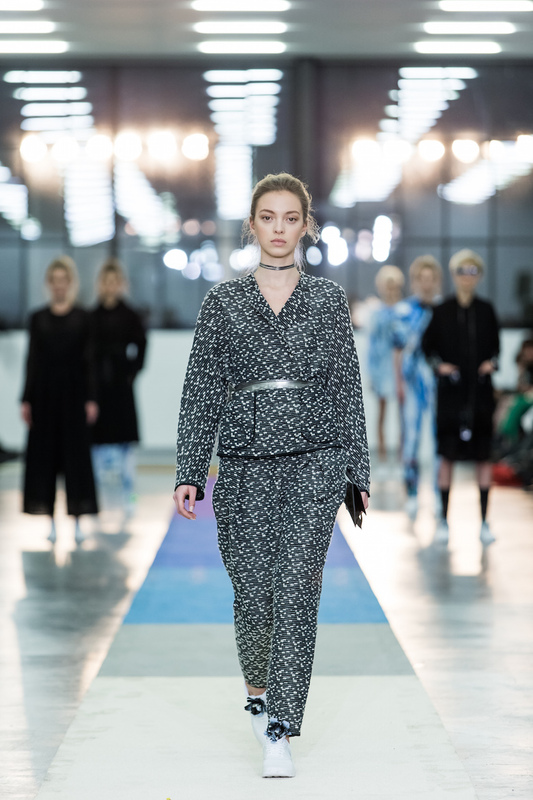 Steadfast in its goals to secure Switzerland a space on an international platform, Mode Suisse is an initiative dedicated to promoting cohesion between the component elements of the Swiss fashion industry, while showcasing its brightest talents. 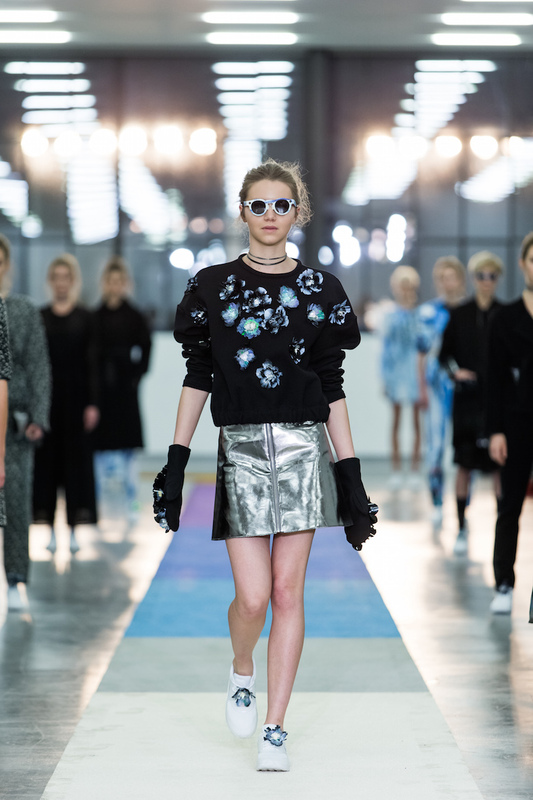 8th February 2016 brought its 9th edition, held at Zurich’s Migros Contemporary Art Museum, with a roster of boundary-pushing Swiss designers presenting their A/W16 collections. 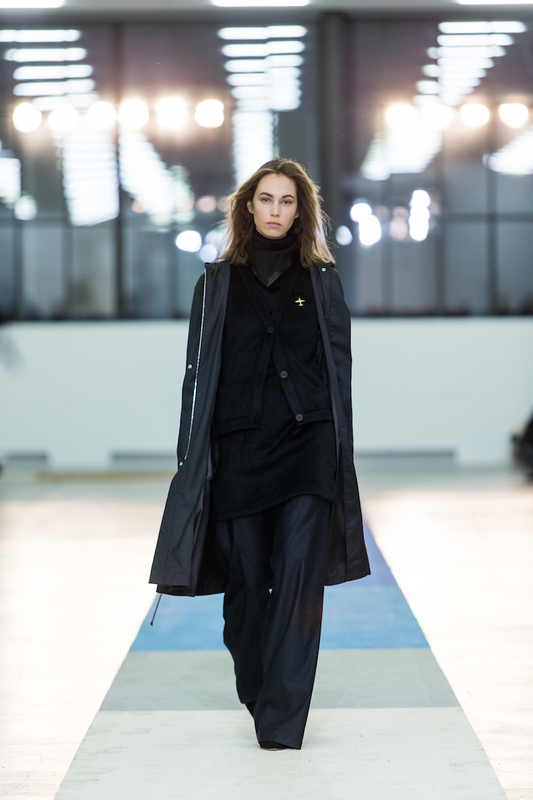 This was complemented by a pop-up shop, in which the public were invited to peruse and purchase from the current collections of the participating designers. 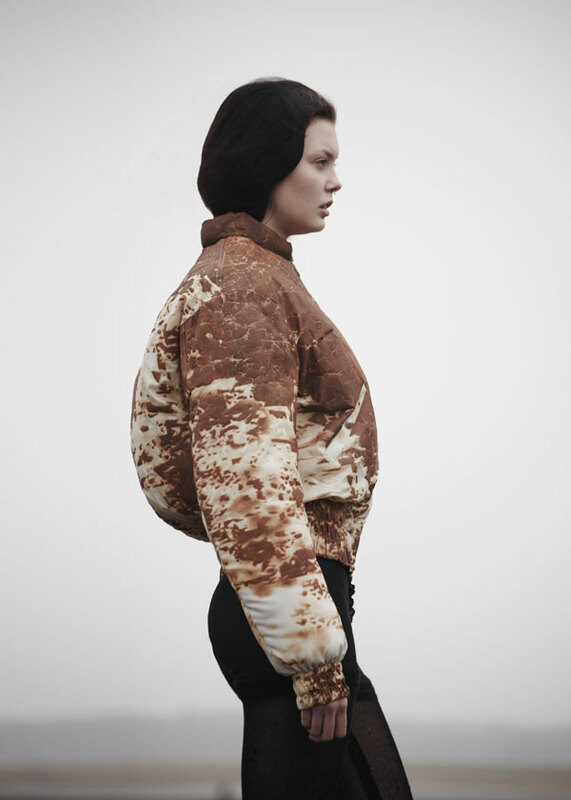 Graduating from the acclaimed Masters programme at London’s Central Saint Martins and finding her industry feet as a Fashion Assistant in the court of Rick Owens, Flaka Jahaj’s CV suggests both technical robustness and a honed sensitivity to the geometric construction of silhouette. 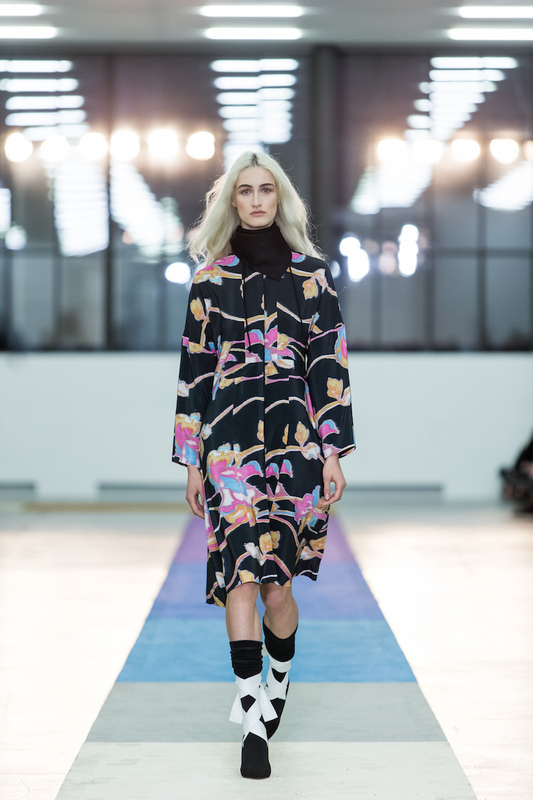 Wide-checked knit plaids served as the collection’s most prominent motif, gracing boxy bateau collared knit dresses, as well as being inventively reinterpreted in garments composed of loosely woven threads. 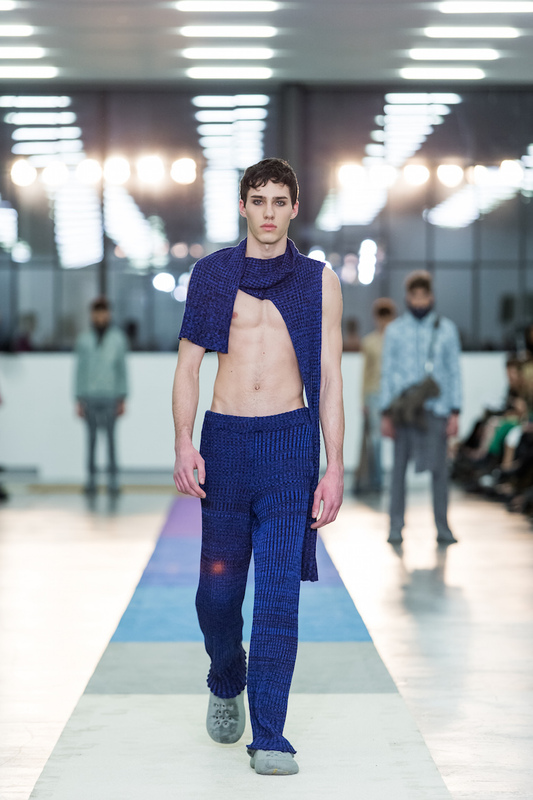 Knit garments were simultaneously complimented and contrasted by slip dresses in silken hues of forest greens and candy pinks, often peeking through the cut outs of the overlaying knitwear. 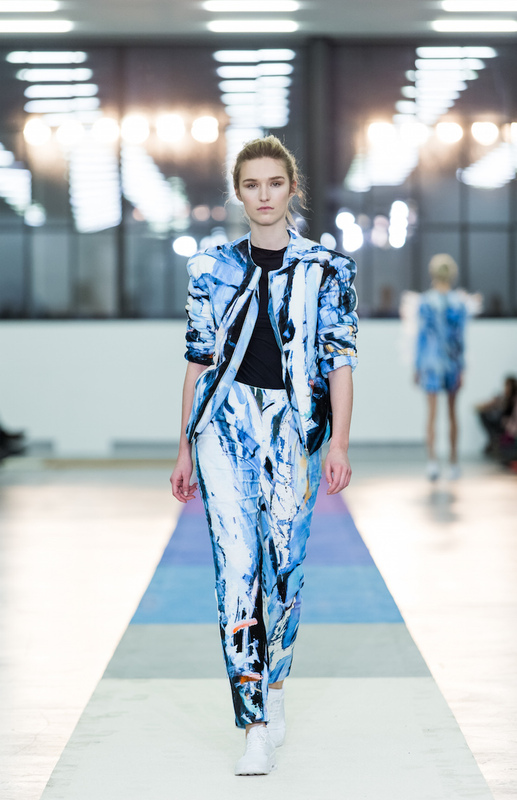 Having recently presented at the prestigious Vogue Salon at Berlin Fashion Week, this season saw the duo presenting a terse collection rich in dynamism and versatility. 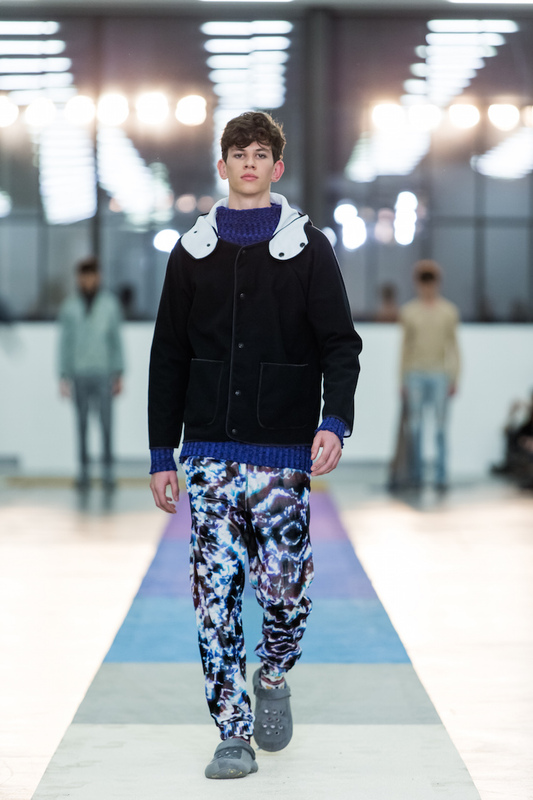 Knee length coats, in kaleidoscopic floral prints, sumptuous royal blues and mottled grey wools alike, met casual hoodies and printed sweatshirts, cut through by flashes of iridescent bronze and silver. 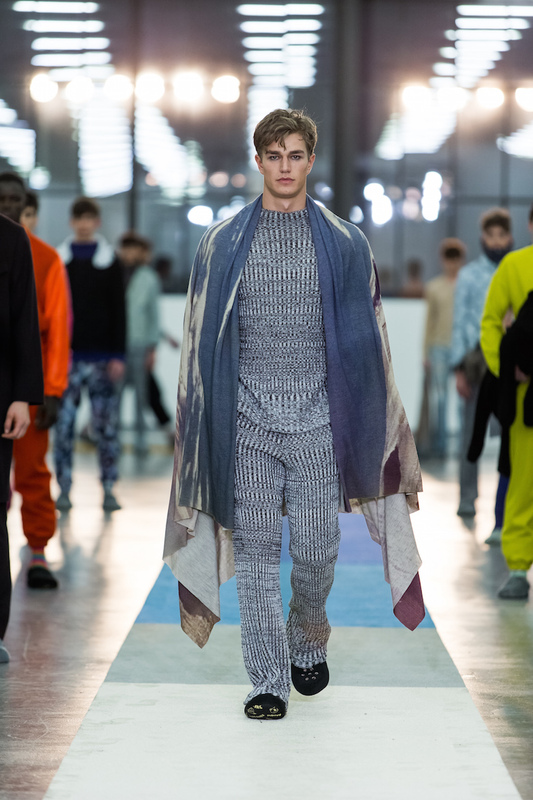 While drawing an overarching motif proves taxing, the collection proves that the showcasing of a brand’s versatile potential does not require broad logistical proportions. 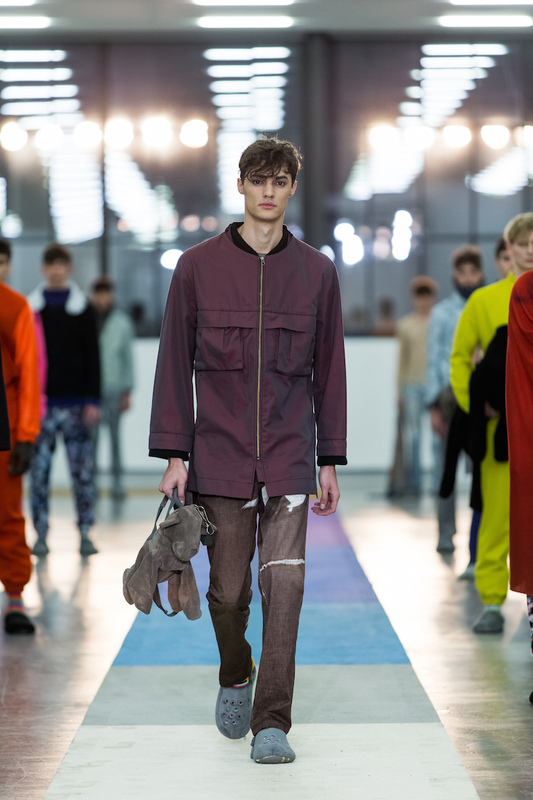 Premiering “Eternal Ice” at Berlin Fashion Week, Steinrohner’s showing at Mode Suisse marks the second presentation of their collection, before they set off for their Paris showroom. 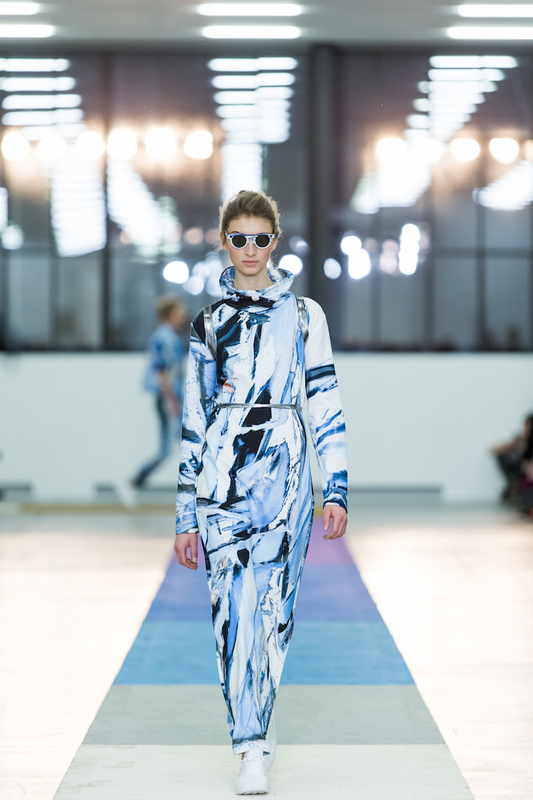 In one of the more extravagant presentations of the event, Inna Stein and Caroline Rohner presented a series of practically considered sporty silhouettes in a palette of cool silvers, greys, blacks and icy, electric blues. 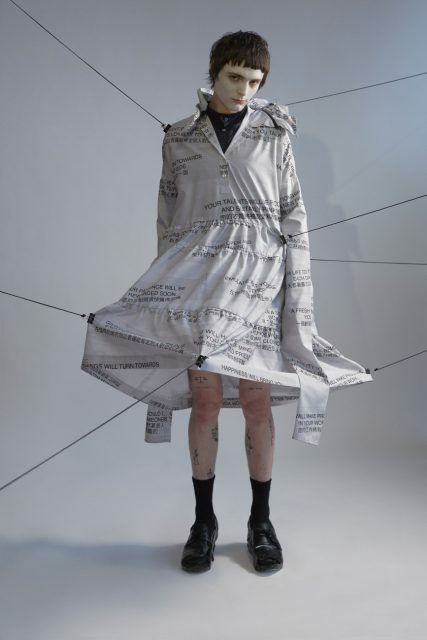 Of particular note is the digital-printed monochrome tennis dress, perfectly demonstrating the brands marrying of tried and tested form with an intriguing approach to print and visual texture. Reflecting and harmonising the quintessentially Swiss motifs of craftsmanship, luxury and minimalism, Claudia Zuber offered a vision of precisely why the Swiss design scene is worthy of keen international attention, as well as demonstrating how the elements that may have served to its hindrance could in fact be embraced to it’s advantage. 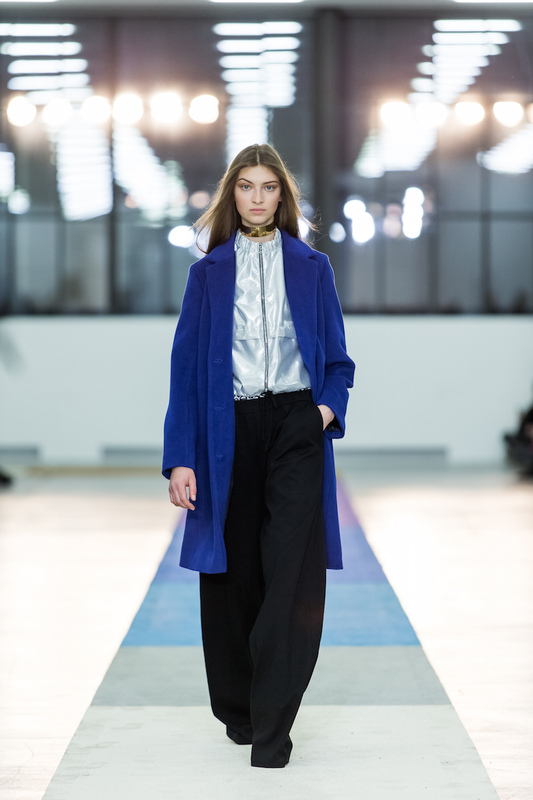 In rich satins of sombre hue, the simple collared shirts, lounge pants and belted greatcoats of the collection’s opening looks hinted at a luxurious take on wardrobe staples. And indeed, this was certainly the underpinning force. 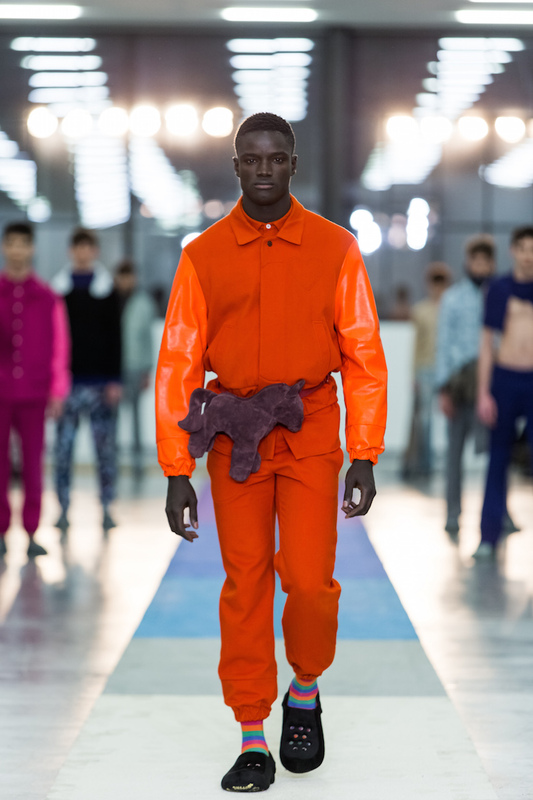 Yet the collection went beyond a plain infusion of luxury into the familiar, with garments tweaked in a manner dictated by downplayed substantiality. 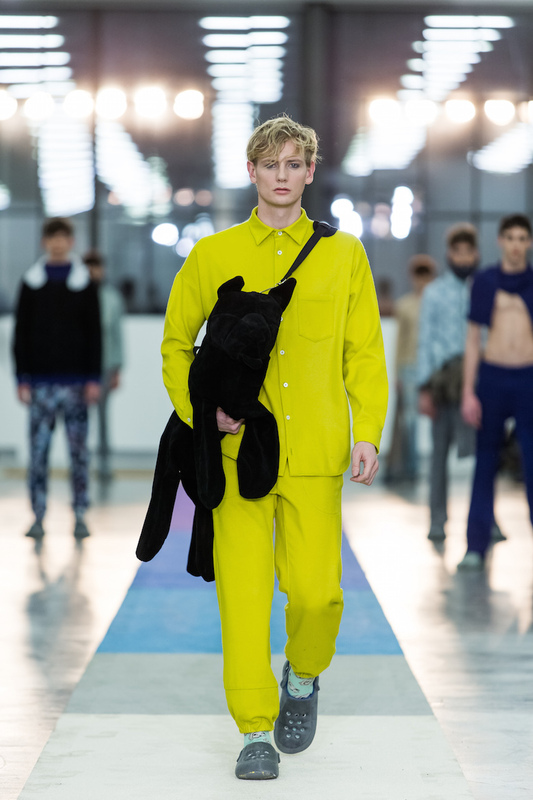 A firm favourite here at Œ, the undisputed torchbearer of Helvetic fashion, Julian Zigerli, is unfailing in his ability to inject a little pep with his sartorial wit, reinforced by attention to detail and a sharp awareness of garment composition. 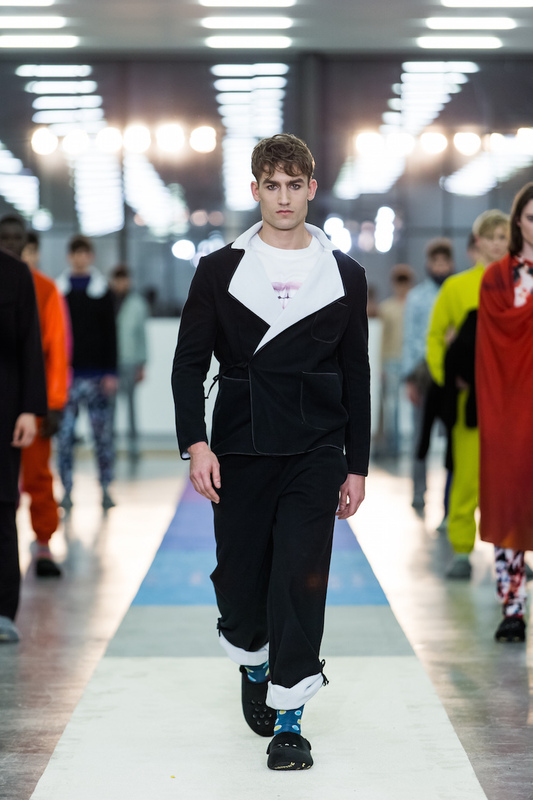 A former mainstay of the Berlin schedule, Zigerli decided to forgo this season, showing at the men’s edition of Paris Fashion Week prior to the Zurich presentation. 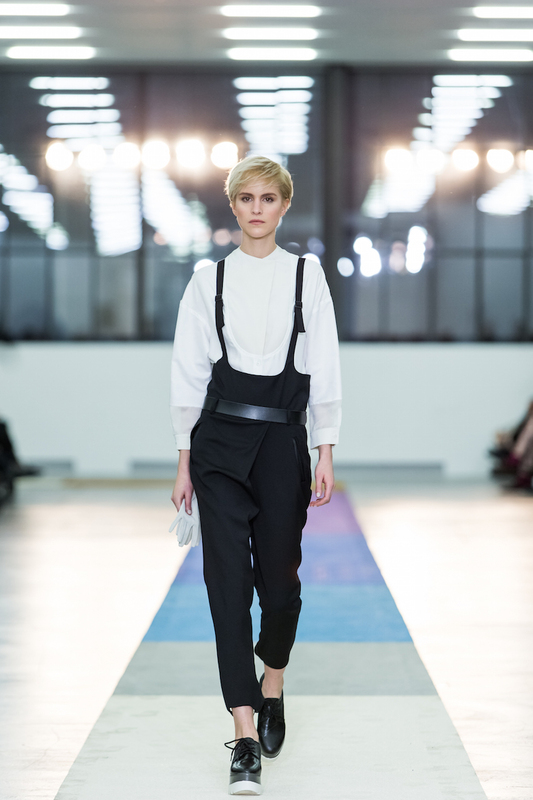 Warmly evoking the pop nostalgia of the 80’s and 90’s, Zigerli offers a journey through the era’s vestiary and cultural tropes. 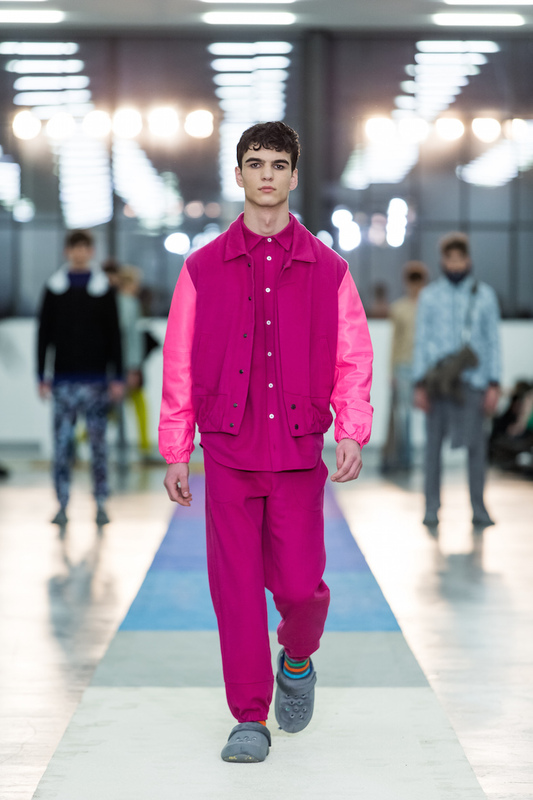 Letterman-esque jackets, leather sleeves in fluorescent highlighter shades offered kitsch impact, alongside trousers in electric prints, draping shawls and even accessories in taking on the form of the designer’s childhood plush toys.